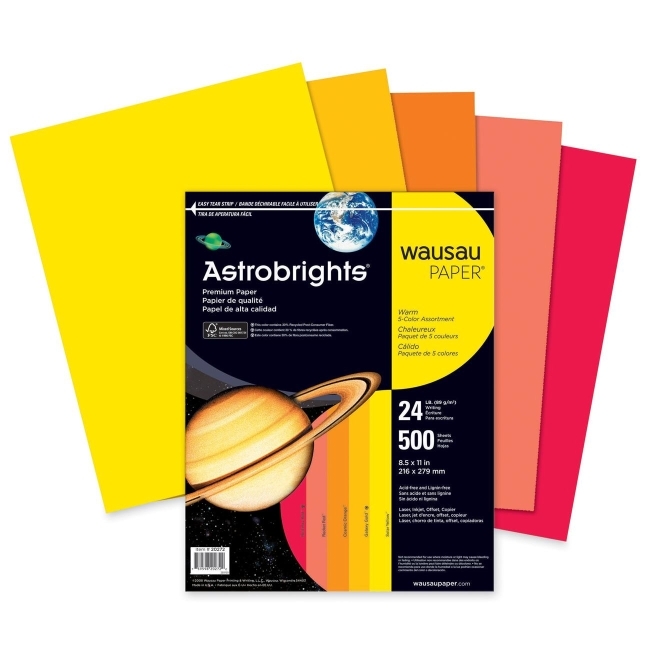 Premium paper comes in an assortment of warm colors. Compatible with laser printers, inkjet printers, copiers and offset machines. Each sheet is acid-free and lignin-free. 24 lb. paper is 20 percent thicker than ordinary sheet.